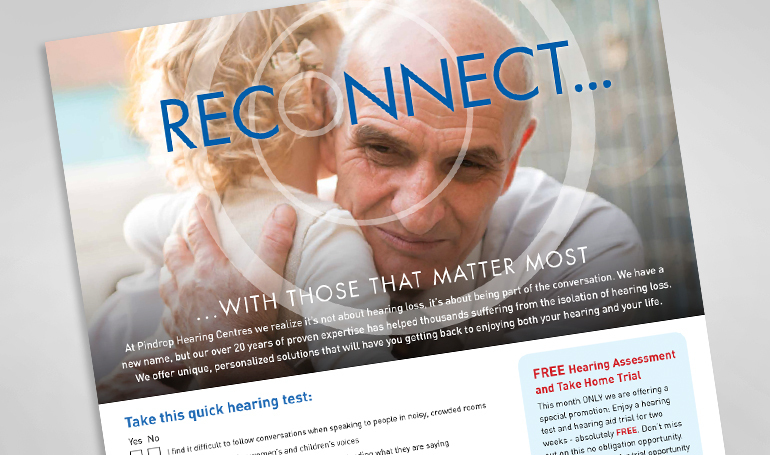 Sprout has just finished a strategic branding project for Pindrop Hearing Centres, bringing 12 differently branded locations and websites under one umbrella. This project included extensive research, messaging, creative and developing a mobile-friendly website which allows each location to market regionally, while centrally servicing customers across Canada. To see how we did it, please click here for the full story.